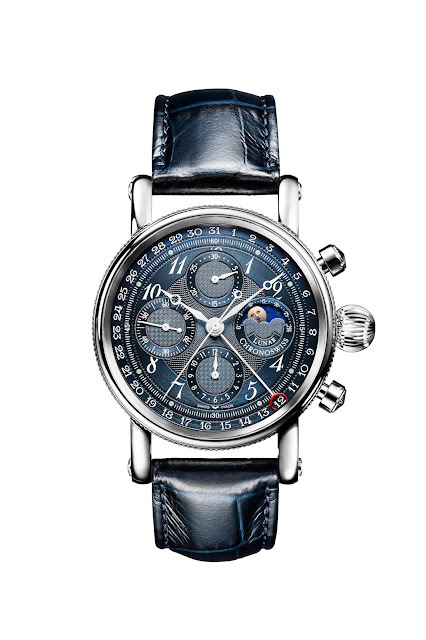 I have a long standing fascination for Chronoswiss and while there were plenty of exciting new regulators unveiled last month, sometimes it's the classics that grab your attention, and that is exactly what I was drawn to in the form of this new version of the Sirius Chronograph Moonphase. The case is of stainless steel and measures 41 mm in diameter, with a height of 15 mm. The movement is self-winding and is labeled the Chronoswiss caliber C.755, automatic.